I wish the West Texas highway was a mobius strip, I could ride it out forever. Hail Satan, Hail Satan tonight, Hail Satan, HAIL HAIL! I'm walking along Wesheimer the other night, it’s past 2 and everything’s still open, plus it’s December and it’s still 60 degrees. Earlier in the day I saw a blackout of birds swoop in and land, one-by-one in a herky-jerky elegance usually reserved for men working with jackhammers, on telephone lines, almost as if they’d practiced it, but it was too precise even for practice and then I remembered the migration patterns and instincts and remembered I was in the South (even worse-the Deep South), probably where all those birds I had seen up North a month ago finally stop for good. Unless they went further South to Mexico and Panama and beyond. 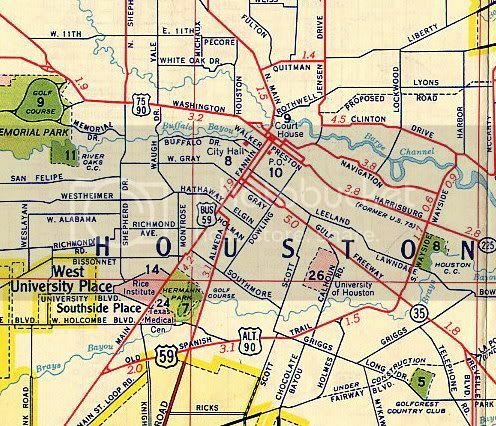 I don't have a very vast knowledge of Latin American geography, or of bird migration patterns, or of the distribution of birds that exist in Texas, or of my own place in this huge-assed state. I'm not exactly sure how far Houston is from Louisville, but I know that it's in the Deep South and the only large city in between is Memphis (going in a fairly straight line, that is). I could, theoretically, chart such a trip. Looking at it helps imagine the surroundings-possibly. I arrived in Houston on a plane and have only been to Galveston and back. I'm not sure that I want to see more of Texas (Austin may be nice) but I know that to get to anywhere, really, on either side, requires about a three hour drive. 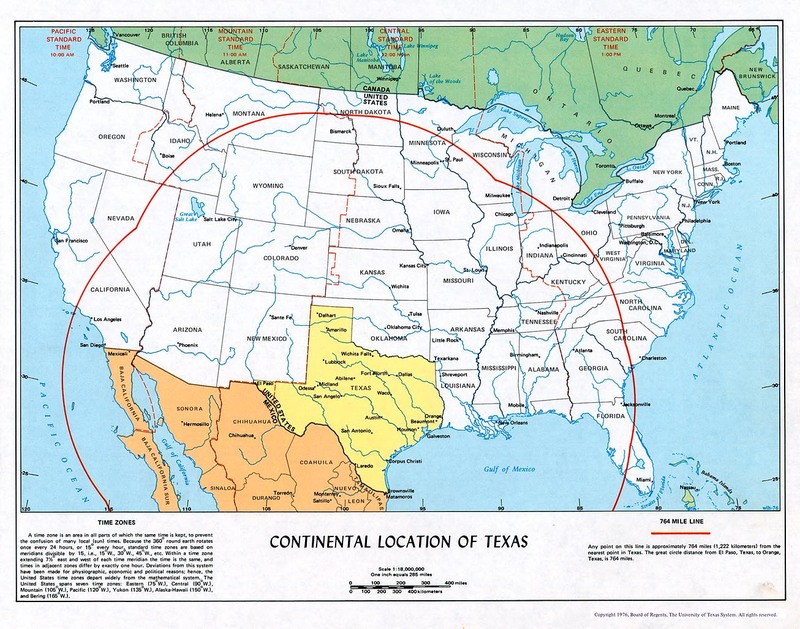 I can tell because the distance to San Anton (I'm a Texan now, I can abbreviate such things) or Dallas or New Orleans - hell, even to Shreveport - is about the same distance on the map as Detroit is to Chicago. Even the mid-sized cities from Houston to Louisville have "Hey Reb" sounding names - Tyler. Pine Bluff. Clarksville. These aren't the same old Ann Arbors or Kalamazoos or Garys I'm used to on that other trip. This is Astro Country. Or, even worse, a walking stereotype. But looking at the map allows my to imagine such trips that I will probably never take. I don't know anything about the rest of Texas but isn't it all as arid and repugnant as El Paso in July at high noon, rolling steppes dotted with bush and one-lane highways going off into the horizon as far as the eye can see? No? Well, I guess I'll have to find another map. This was great! I remember seeing and really like that 'Countries of Baseball' map. Also, I like Strange Maps too. I think you introduced me to it my freshman year.